Welcome to Sherwood Specialties, Inc.
Sherwood has represented manufacturers for over 50 years, keeping its focus on the Water Well, Wastewater, Plumbing and Industrial markets. Sherwood's success is due to maintaining good-natured, two-way relationships with Engineers, Contractors, Distributors and Wholesalers. Warren Olson is the owner and lead sales representative of Sherwood Specialties. He began his career with the company in 1974 under the direction of the original owners, Robert Ellis and Vince Arcuri. Warren frequently calls on plumbing wholesale, and industrial accounts in central and northern New York as well as Pennsylvania. He also works with engineers and contractors within the same areas. 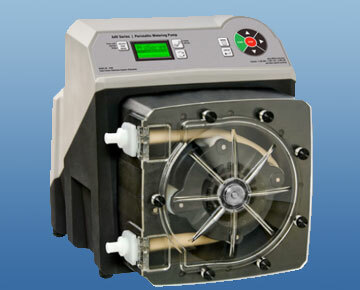 FLEXFLO® Peristaltic Pumps offers a design which is both self-priming and Valve-less (cannot vapor lock or lose prime). 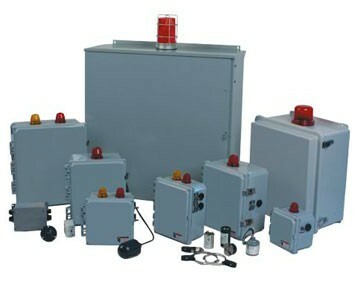 Exclusive TFD system (Patented Tube Failure Detection) keeps both operators and pump rooms safe from spills. Peristaltic Design is well suited for abrasive, thick, and gaseous fluids that can foul conventional metering pumps. Pump tubing offers solutions to a variety of fluids, such as acids, oils and alcohols. Pump tanks (or dosing tanks) are an integral part of any pumped septic system such as a mound system or flood dose system. It is a tank (built like a septic tank) that contains one or more effluent or sewage pumps and controls. Float type switches inside the tank turn the pump on and off. The pump delivers a "dose of water to the absorption field. 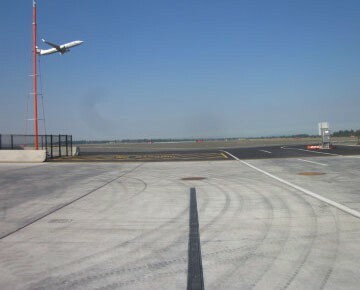 Radius trench drains have been specified for years, but until now have been extremely difficult to construct. Eric'sons Dura-Trench now offers a prefabricated drainage trench for those special applications where a seamless curve is required. 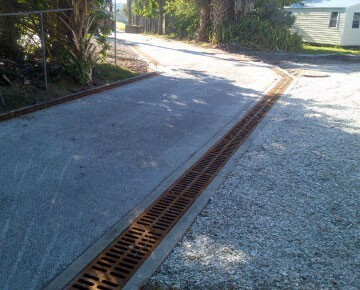 Radius trench drains are custom built to your specifications. Eric'sons will build them to any radius in most common widths. We currently offer internal widths of 4", 8", 10", 12", 18", and 24". The lengths of the drains will vary with the radius, but they are typically 8' sections. 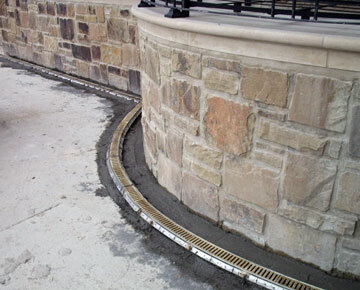 Radius drains are typically sloped at 1%, but 0.5% slope or non-sloping units are available. FLEXPRO® Peristaltic Pumps: Superior Peristaltic Metering Technology. Smooth and Quiet Pumping Action. Highly Accurate Feed Capabilities. 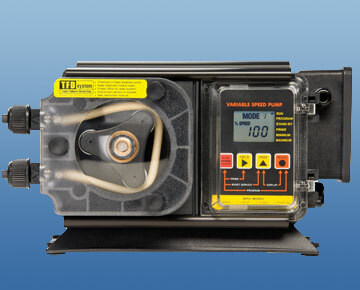 Peristaltic pump design does not have valves that can clog requiring maintenance. Self priming – even against maximum line pressure. By-pass valves are not required. Cannot vapor lock or lose prime. Black & Green water Tanks: Snyder provides a wide range of above ground storage tanks in Black or Dark Green ranging in size from 205 to 10,000 gallons, and are designed for either indoor or outdoor use where wells do not meet the consumption needs of the users. 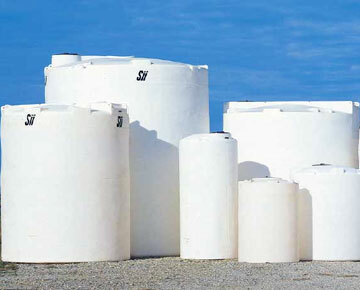 All Snyder water tanks are manufactured from FDA compliant resins and manufactured in NSF inspected facilities. DuraTrench precast fiber reinforced plastic trench systems were designed for durability and ease of installation. The system features an ultra-smooth precast trench body that has flow rates superior to cast in place trenches. The 8' lengths make installation fast and help keep installations straight and true. 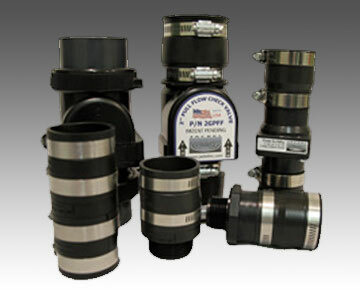 Variable Area Flowmeters offer Economy and Value. Just because sophisticated 'high-tech' instruments are available, it does not mean we have to use them: simple meters can offer many advantages over more costly and technical types. 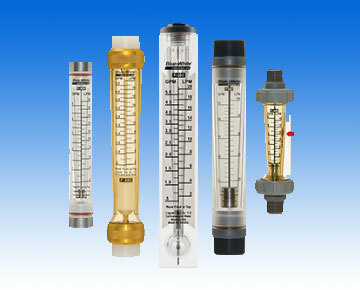 Although flowmeters may seem to be a modern invention, basic types were evident as far back as the early Roman era. They were often used for measuring water flow to households. 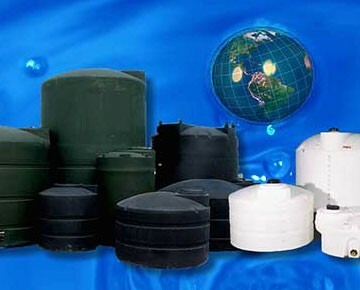 Above Ground Water Storage Tanks: All materials are UV stabilized for long-term outdoor service. Gallon indicators molded in most tanks. Translucent sidewalls allow water levels to be easily viewed in daylight. 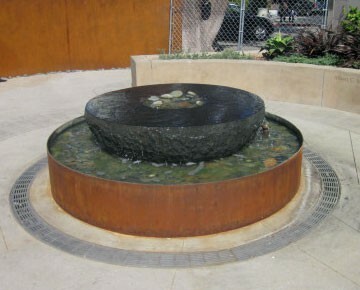 Manufactured from FDA-approved resin for potable water. 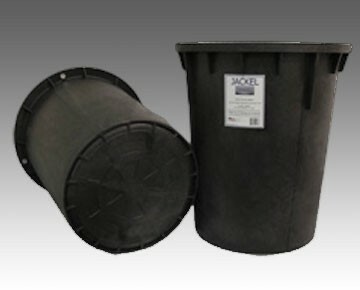 Weatherproof threaded lids with built-in anti-surge vents. Bolt-on fittings with stainless steel bolts. Molded-in tie down slots and lifting lugs. Jackel Universal Guide Rail Packages make the installation and service of grinder, sewage and effluent pumps safer and easier. Simply slide pump assembly down guide rail system and connect plumbing and electrical service. The system is ready to go! Simplex, Duplex or Triplex configurations are available. 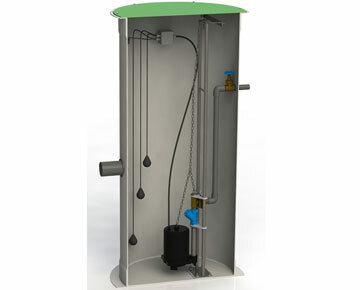 The system is corrosion free with stainless steel and PVC components. All stainless steel piping on pump slide. All stainless steel hardware. 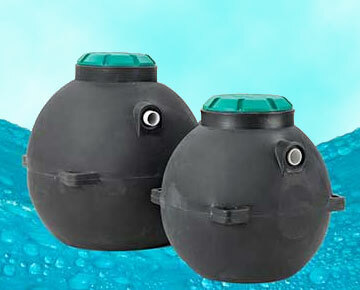 Epoxy coated cast iron ball valve comes standard. Also, the check valve is on the pump slide for easy maintenance. Check Valves: Jackel has designed and manufacturers and extensive line of Sump and Sewage Check Valves. They are made of ABS and PVC plastic, making them extremely durable, while at the same time flexible and easy to install. User-selectable Doppler or Transit Time operating modes for measurement of both clean and dirty fluids. 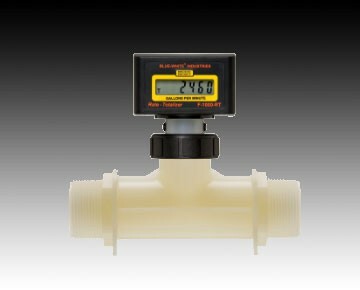 The meter can be factory configured for easy installation. 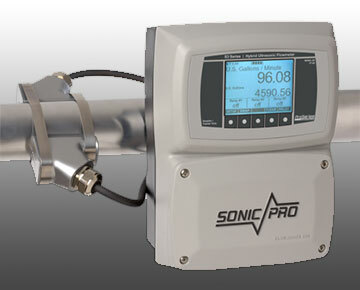 Custom quality metric algorithms and DSP technology for reliable, high accuracy measurements To allow for changes in the fluid's particle count, SonicPro monitors the signal gain and employs an Automatic Gain Control (AGC) algorithm that periodically adjusts the gain, maintaining the optimum power level .